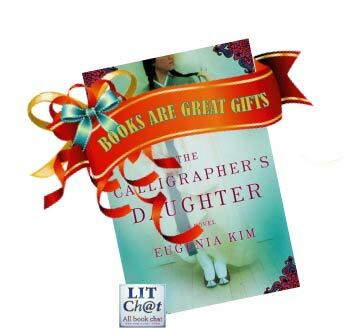 Posted by Carolyn Burns Bass in literary fiction, weekly topics. It’s something most people have in common: Family. No matter where you grew up, an only child in a penthouse on Manhattan’s Park Avenue, the middle of five on a cattle ranch in Texas, or the only surviving sibling from the mean streets of south-central Los Angeles, you had a family around you. Some of the finest literature of the ages have family dynamics as a central theme. This week in LitChat we’ll be discussing Family Dynamics in Literature through the ages. 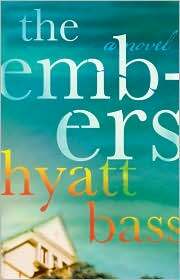 Joining us on Friday, December 11th is Hyatt Bass, whose debut novel, The Embers, was released in June 2009. The Aschers were once the perfect American family, successful parents with a talented son and lovely daughter; a portrait painted in celebrity colors with trust-funded brushstrokes. A posh apartment in Manhattan and a weekend home in the Berkshires can’t keep the edges of the portrait from singeing early in the story. Adultery, betrayal, and finally the death of a child fan the flames, leading to a fiery conclusion that destroys the family, scattering ashes across the remaining Aschers. The Embers is Hyatt’s first novel. 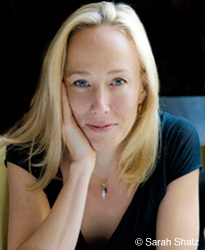 Her award-winning feature film, Seventy Five Degrees in July, released by Vanguard Cinema in June of 2006, marked Hyatt’s debut as a feature film director. She also wrote the screenplay and was a producer on the film. Prior to that, Hyatt wrote, directed, produced and edited the short film, Just Desert, in Los Angeles, where she worked as a production assistant on Sister Act, a camera assistant on Tombstone, and an assistant editor and camera assistant at Roger Corman’s infamous Concorde Films. Hyatt received her BA from Princeton University. She lives with her husband, Josh Klausner, and their two sons and two miniature schnauzers in New York City. Follow Hyatt on Twitter: @HyattBass.